I was digging though my lesser-used gear the other day, looking for a filter. I didn’t find it, but I did pull out a couple lenses that I seldom use: the AF Nikkor 28mm f/2.8, and the AF-S Nikkor 28-70mm f/2.8D. 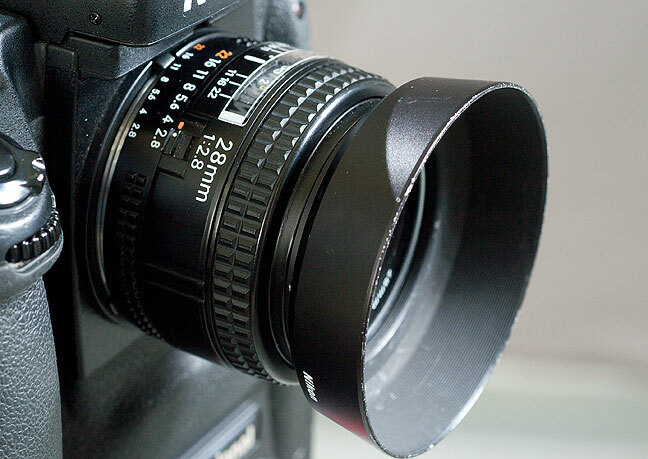 The AF Nikkor 28mm f/2.8 is small, lightweight, decently sharp, and cost just $74 on Ebay. The 28mm, a fixed focal length lens, known in the game as a “prime” lens, is made mostly of plastic, and weighs just seven ounces. 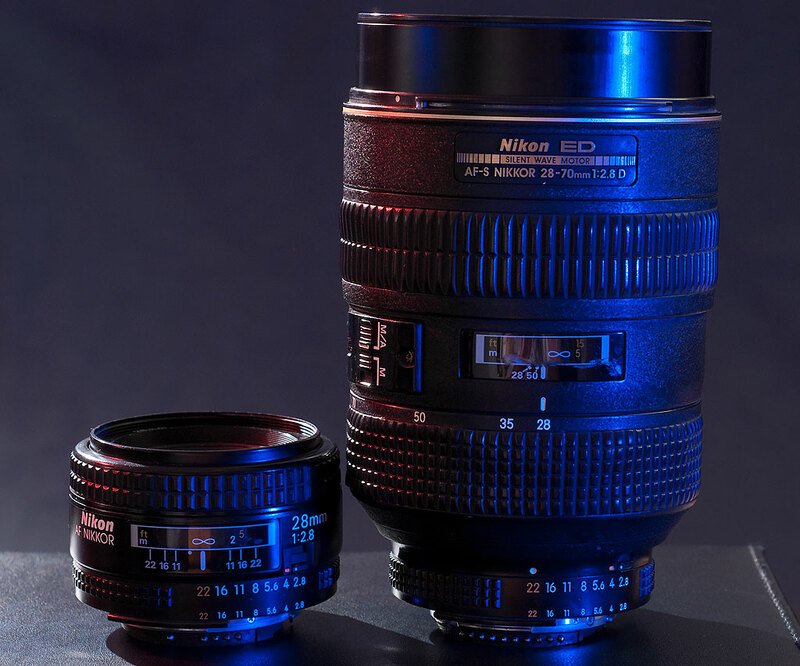 The 28-70mm, which is constructed of steel and brass to professional standards, is huge, and weighs 33 ounces, which is just shy of two pounds. The weight is a huge factor if, like me, you carry two or three camera for long periods, like when I am covering events. The reason I don’t use them much is that my camera sensors are the so-called APS-C size, approximately 24x15mm, making these focal lengths fairly uninteresting. In fact, in some cases I find that the featherweight 50mm f/1.8 is a good stand-in for either of these, particularly given its nice, big maximum aperture. Additionally, even with 36x24mm sensors, 28mm is only just at the edge of wide angle territory, and 70mm is only just at the edge of telephoto. The point of this entry is a concept known as diminishing returns. This concept is the bane of other endeavors, such as space travel: putting a man in space took a 66,000-pound rocket, while putting a man on the moon took a 6,540,000-pound rocket. This concept speaks to the value of economy of scale. You can accomplish 90% of your photographic goals with the bottom 10% of your gear. So the next time you find yourself drooling over a $2400 zoom lens, take a moment to think about what you already have in your bag that could do the job, and instead of spending money, go make pictures. David and Goliath? No, it’s the AF Nikkor 28mm f/2.8 vs the AF-S Nikkor 28-70mm f/2.8. Another good reminder that what I already have in my bag essentially covers all of my needs, and most of my wants. I’ve tried convincing myself to go into debt for a “true” wide-angle lens, but I can generally achieve at least a wide-angle look with my 18-55mm kit lens – so why run up the credit card?